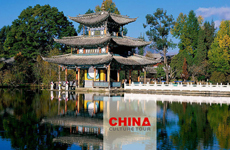 ﻿ Luxury China Shangri-La Tours, Yunnan Shangri La Travel Packages! Shangri-La is a fictional area described in the 1933 novel Lost Horizon by British author James Hilton. In the novel, "Shangri-La" is a mystical and harmonious valley, an earthly paradise and a permanently happy land, isolated from the outside world. In the book Lost Horizon, people who lived at Shangri-La are almost immortal, living years beyond the normal lifespan and only very slowly aging in appearance. One of such places is mentioned to be situated somewhere in Zhongdian, Yunnan. 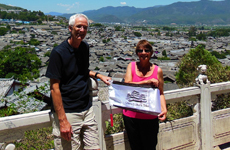 It is in somewhere in your heart after your China Shangri La Travel! Solo travelers, family groups or seniors will be mesmerized by Shangri La and we offer tours to meet all specifications. Where on Earth is Shangri-La China? In order to reveal this mystery, Chinese National Geography launched two field investigations to Daocheng in Sichuan and Zhongdian in Yunnan respectively in June 2003 and March 2004. From April 13 to May 2, 2004, as a complementary to the former two investigations, Chinese National Geography organized a 20-day field investigation by 8 relevant experts and reporters to Greater Shangri-La, mainly involves Sichuan’s Ganzi Tibetan Autonomous Prefecture and Liangshan Yi Autonomous Prefecture, Yunnan's Nujiang Lisu Autonomous Prefecture and Diqing Tibetan Autonomous Prefecture, Tibet’s Chamdo and Nyingchi. The investigation team delimited the range of Greater Shangri-La based on the standard of Chinese National Geography, from Nyingchi of Tibet in the west, to Luding of Sichuan (including the upper reaches of Minjiang River) in the east, from Ruoergai (the northernmost point of Sichuan) and the northernmost point of Shiqu County of Sichuan in the north (including Luoguo Prefecture of Qinghai and northernmost area of Gansu), to Lijiang of Yunnan Province in the south. In terms of longitude and latitude, the area is enclosed at 94-102 °E and 27-34 °N. According to reports, Sichuan, Yunnan and Tibet are planning to collaborate on establishing a 'China Shangri-La Ecotourism Area'. 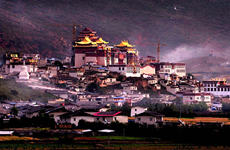 The preliminary program will define the future Shangri-La area to be in the scope of Southwest Sichuan, Northwest Yunnan and Southeast Tibet. Administrative jurisdictions cover 50 counties of 9 adjacent prefectures in the three provinces, including Ganzi Tibetan Autonomous Prefecture, Liangshan Yi Autonomous Prefecture and Panzhihua in Sichuan Province, Diqing Tibetan Autonomous Prefecture, Dali Bai Autonomous Prefecture, Lijiang in Yunnan Province, Nyingchi and Chamdo in Tibet. This area is endowed with unique highland flora and fauna of snow mountains, lakes, grasslands, forests and wild animals, exactly the living portrayal of the world-known Shangril-La. 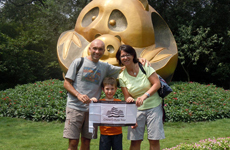 What to see in Shangri-La China? Note: Hotels in Chamdoand Nyingchi are of limited accommodation standard, at 3-star or below. Hotels in Sichuan Province in above-mentioned places (except for Chengdu and Jiuzhaigou) are of standard of inns and hostels. People in Tibetan areas observe their own unique customs and traditions. It is very important to respect their religion and pay attention to their taboos. Here are some dos and don’ts. 1. Do not touch any cattle or goats with red, yellow or blue labels, because they are local people’s sacrifice to the Holy Spirit. 2. Do not enter a temple without permission. Smoking, touching statues or sutra is strictly forbidden. In some places it is not allowed to walk counterclockwise, and women are not allowed to enter certain areas. 3. When you enter a Tibetan tent or room, do not step on the threshold. Spitting in front of others is considered impolite. 4. When a Tibetan sticks out his/her tongue, it is a sign of respect rather than mock. Putting palms together is a form of etiquette. 5. Lamas don’t smoke, but some women even girls in pasture areas do. It is social convention for them to offer cigarette and tea. 6. Be careful not to catch a cold before you enter Tibet. It is suggested that you postpone your Tibet tour if you already catch a cold. Cold does not easily recover on plateaus, and if it gets worse it may cause pulmonary edema and other complications. It is necessary to prepare some medicine for cold, indigestion and stomach disorder. 7. The climate in Tibet is dry with poor oxygen and low air pressure. Prepare at hand some nasal ointment and throat lozenge to relieve discomfort in nose and throat caused by dry weather. 8. The intense ultraviolet radiation on plateau makes it important to protect yourself by wearing hat, sunglasses and sun cream. 9. Do not buy wild animal’s fur, horn or skull in Tibet. Mostly they were poached, and you will find yourself in big trouble when you leave Tibet with these things. 10. Don’t give money to local people you take photograph at/with, or take photos of them or their staff without their permission. You can give some food or medicine to enhance trust. 11. When visiting a Tibetan family, you should sit down cross-legged and don’t let your sole to face people. 12. It is very important to keep in mind that it is very impolite to touch a Tibetan people’s head. In their culture, their head should not be touched by others except for eminent monks and seniors. 13. Keep quite when you visit a lamasery, especially when religious rites are being held. Hunting or killing is strictly forbidden. 14. Don’t use paper printed with Tibetan characters to wipe or clean things. When you visit a Tibetan family, man should sit on the left and woman on the right. A fire at the door or a tree branch with red cloth on the door indicates this family has people in sickness, and does not welcome visitors.